The pumpkin pie is an essential dessert for the fall and winter holidays. You don't have to be into baking to make many of these delicious homemade pumpkin pies. They range from pumpkin pies with homemade pastry crusts to easy no-bake pies in graham cracker crusts. If you're making a pastry crust, I recommend you partially bake it before you fill it. Pies with custard-type fillings are notorious for their soggy bottoms. Though many recipes call for an "unbaked crust," you'll see better results with a partially baked crust. 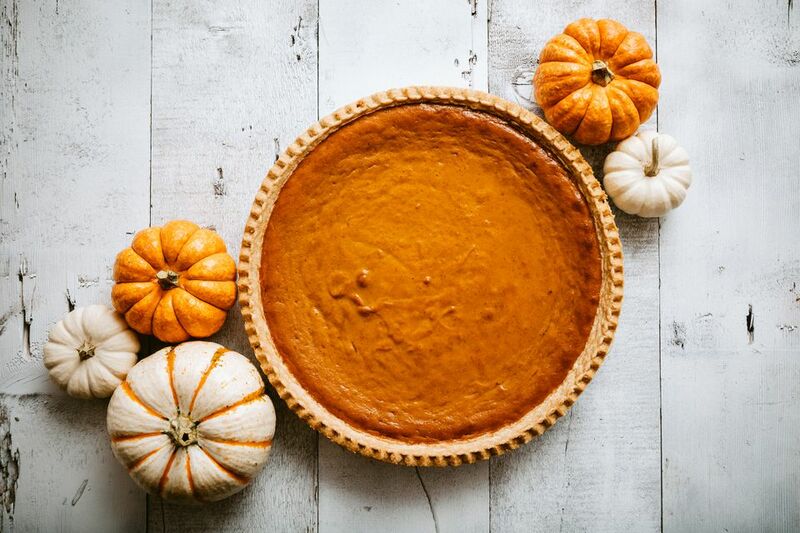 So, whether you're looking for the classic pumpkin pie or an easy 10-minute version, you're sure to find the perfect recipe in this list. A splash of bourbon gives this pumpkin pie just the right amount of "spirit." You can substitute with orange juice, apple juice, milk, or an orange liqueur if you'd like. Use homemade pie pastry or refrigerated pie dough. 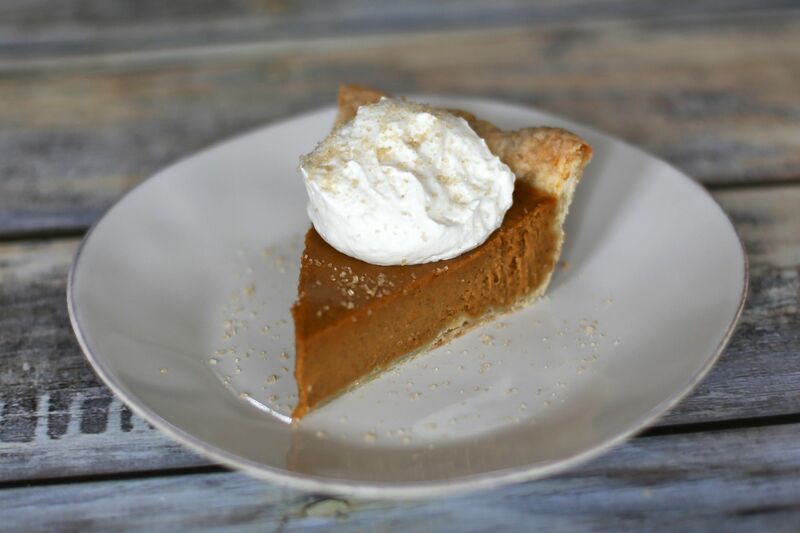 Molasses and a variety of spices flavor this delicious pumpkin pie. The pictured pie was baked in a frozen gluten-free crust. Feel free to use pie pastry sheets or homemade pastry. This classic spiced pumpkin pie is a tried-and-true favorite. Serve this pie with a dollop of whipped cream and sprinkle with a little cinnamon or cinnamon-sugar. This layered pumpkin cheesecake is baked in a pie shell. Bake this pumpkin cheesecake pie for the holidays. This easy pie really does take just 10 minutes to prepare if you use a purchased graham cracker crust. You should make it at least 2 hours in advance so it has plenty of time to chill in the fridge. This no-bake pumpkin butter pie is similar. It's made with a jar of prepared pumpkin butter instead of puree. Can't decide whether to make a pecan pie or pumpkin? This wonderful pie is truly the best of both worlds. A crunchy, buttery graham cracker crumble creates a topping for this great tasting pumpkin pie, or sprinkle it over individual servings. The unique spiced oat and pecan crust is quick and easy to put together and it's a nice change of pace from a heavier pastry crust. Make extra crumbs for garnish or garnish with toasted pecans. The crunchy brown sugar and pecan streusel topping make this pumpkin pie extra special. This pie is a no-bake pumpkin pie made with pumpkin butter and cream cheese. It's easy to prepare with a baked pastry crust or graham cracker pie crust.